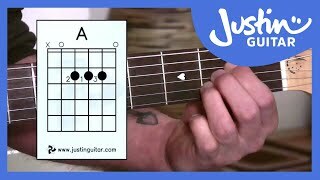 Guitar Quick Start! 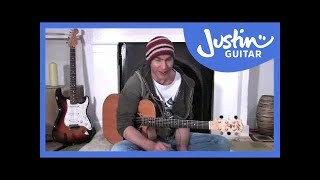 Learn the basics in 5 minutes: how to get in tune, basic shords, strumming and loads of songs. 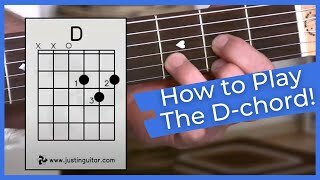 In this first lesson we're going to learn to play the Open D Chord! 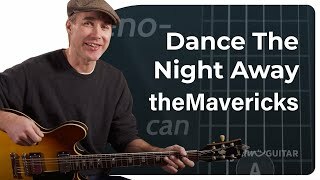 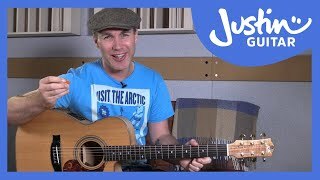 In this lesson, we're going to learn the Open A Chord and then we might be able to have a go at some songs! 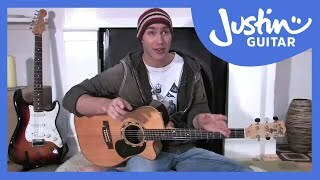 now you got your chords we can rip into changing between them. 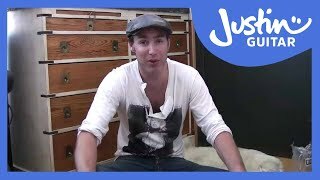 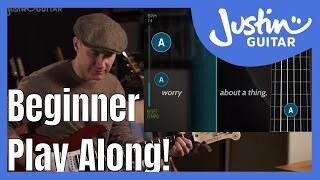 The Justin Guitar Beginner Song Course by FourChords is a song based guitar course where you play awesome songs with a backing track right from the start. 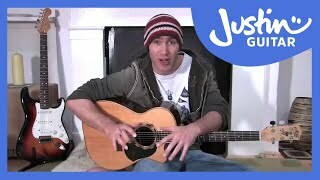 Now I got a fun beginner play along for you - the song is Three Little Birds by Bob Markey! 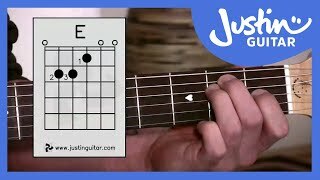 In this lesson, we start on some Ear Training in the regretfully named Justin Use Sound To Improve Now. 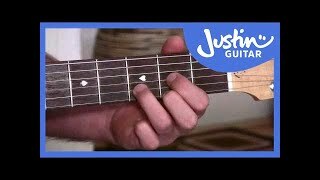 We're all busy, so here are some tips to help you make the most of your practice time and make fast progress!